Today is video #6 in the Card Making for Beginners Series. If you want to see the first 5 videos, I will link them below. What other videos do you think I should do for the series: Leave a comment blow and let me know what you think. Let's talk about all those options out there for coloring our stamped images. I'm not an expert but I do love to color. I can't watercolor for anything, but I love to play around. Copic Markers...Love, but I'm not good with shading and blending colors. It's OK though I love it anyway. Practice someday will make perfect. 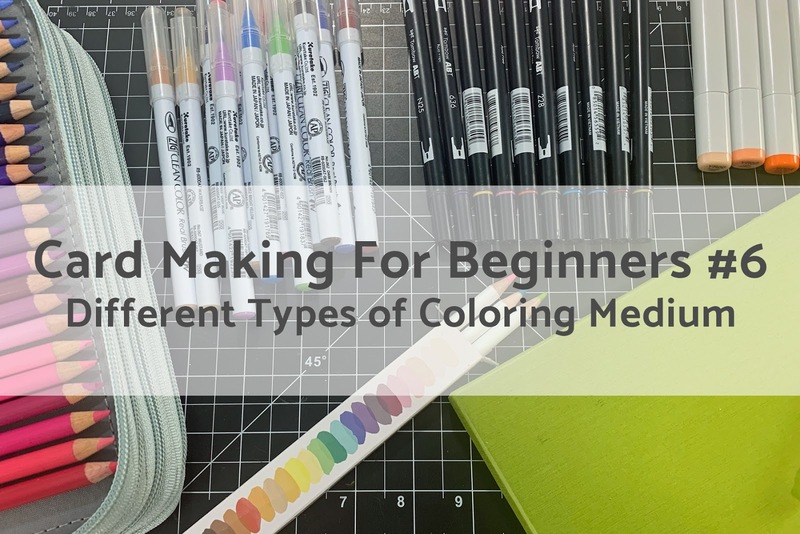 Here's a video all about my favorite coloring mediums and what I like to use. I hope you enjoy! If you missed the other videos in the series you can see them all HERE. Have a great weekend and see you back here next week. I love the Zigs. I use Bristol smooth card stock with them. I have all 96 Arteza watercolor markers - um, still unpacked from their case. Every so often I see them and tell them I'm going to sell them b/c I can't see me needing all those. But such a deal I got on them - like $50 for the whole thing. I'm such a hoarder.